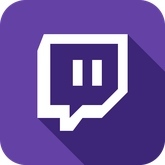 Twitch ++ is a tweak that makes Twitch more convenient to use: blocks annoying ads and improves the app's interface plus adds some hidden features. View the chat window while in landscape mode. KEEP IN MIND THAT USING TWEAKS LIKE THIS CAN GET YOUR ACCOUNT BANNED FROM SERVICE. PLEASE USE IT AT YOUR OWN RISK. Updated at: March 26, 2019, 2:37 p.m.